Dogs and cats just can't stop making friends! 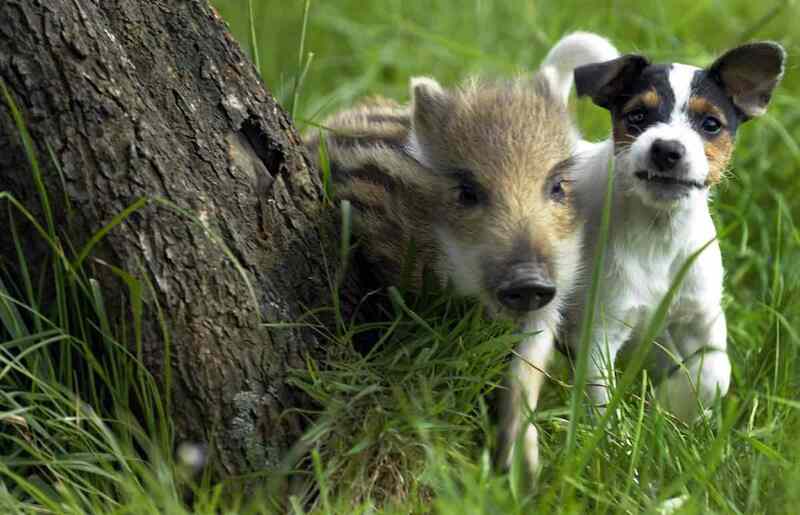 Here are some more unusual animal besties pets have made. 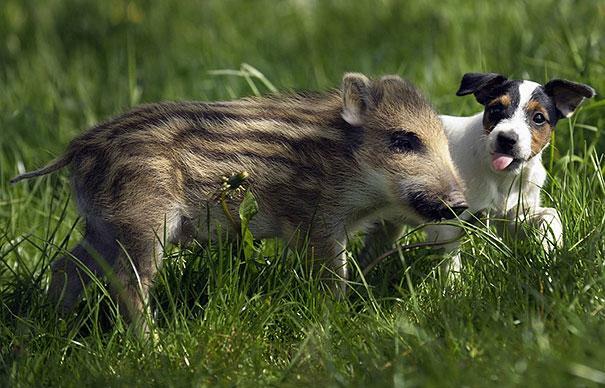 The Dahlhaus family found a piglet starving in a field in southwest Germany. Taking pity, they took the tiny wild boar baby home. 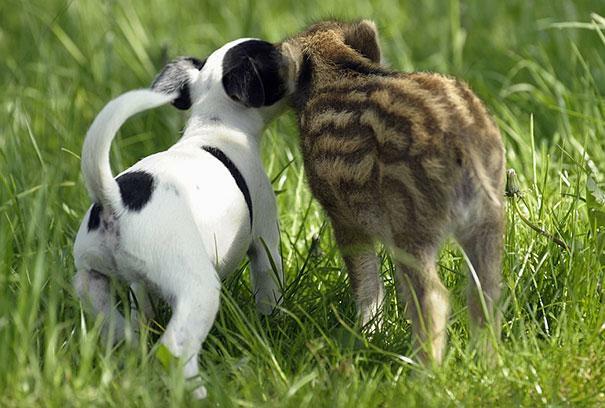 When he met their Jack Russell Terrier puppy Candy, the two embarked on an unlikely friendship. 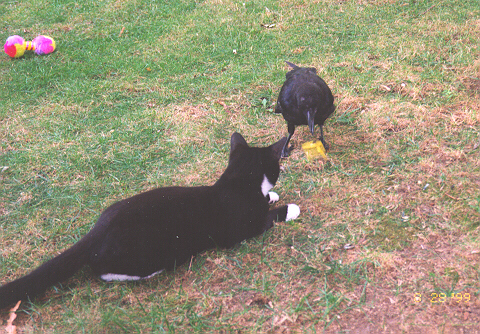 The pair enjoy running around together and playing outside. The piglet, called ‘Manni’ has recovered well and will either stay with the Dahlhaus family or move to a wildlife park. Elderly Massachusetts couple Wallace and Ann Collito discovered the strangest of relationships unfolding in their backyard. 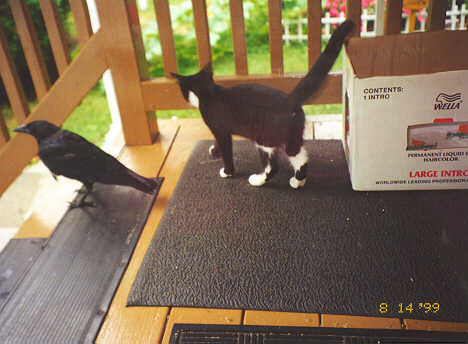 A little stray cat they called Cassie appeared outside sometimes. She may have been abandoned by her owners, but she was well taken care of. 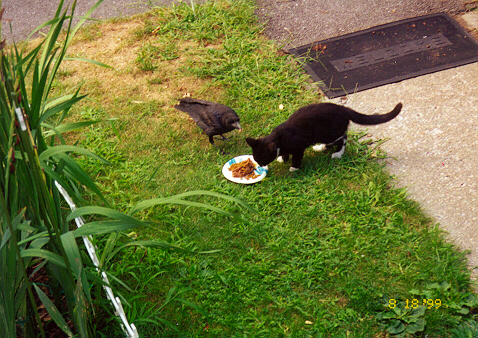 A crow, ‘Moses’ as he came to be known, fed the kitten worms and bugs and kept her away from the street. When Cassie decided to start sleeping inside the Collitos’ house Moses waited outside every morning for the cat to run outside and join him in play. 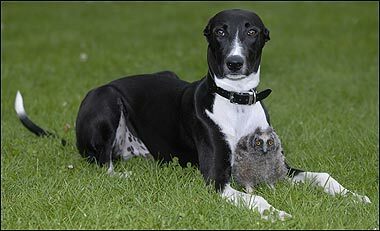 Long-eared owl Shrek and 6-month-year old Greyhound Torque bonded at an animal centre after Shrek was taken away from her mother at three days old for her own safety. Keepers were afraid her mother might eat her own clutch if she became stressed which the species is known to do. Shrek went home with head falconer John Picton and his dog Torque. 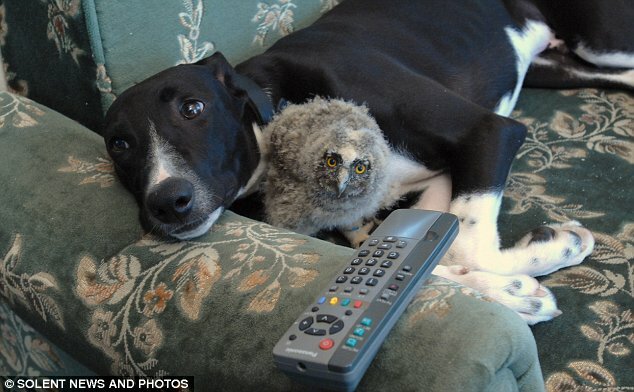 Shrek is allowed to wander the lounge room and she and Torque regularly curl up and watch television together in the evenings. During the day, outdoors at the Ringwood Raptor and Reptile Centre, they sit together with Torque vigilantly guarding his young feathered friend. When Shrek grows up she will be used as a display owl at fetes and open days so the public can see the rare bird variety first hand. 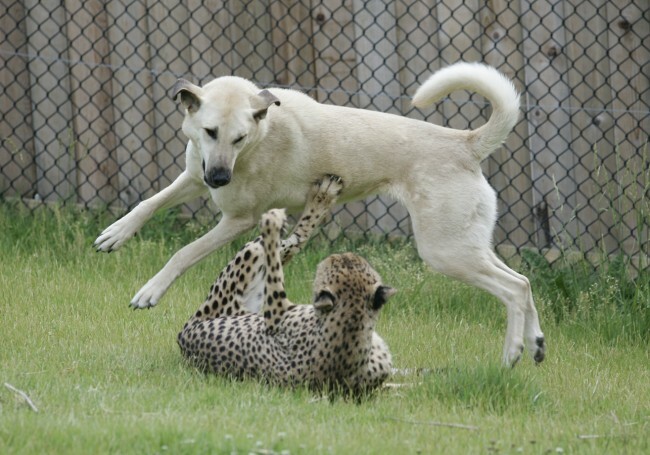 Anatolian Shepherd Alexa and Cheetah Sahara have been friends for life. 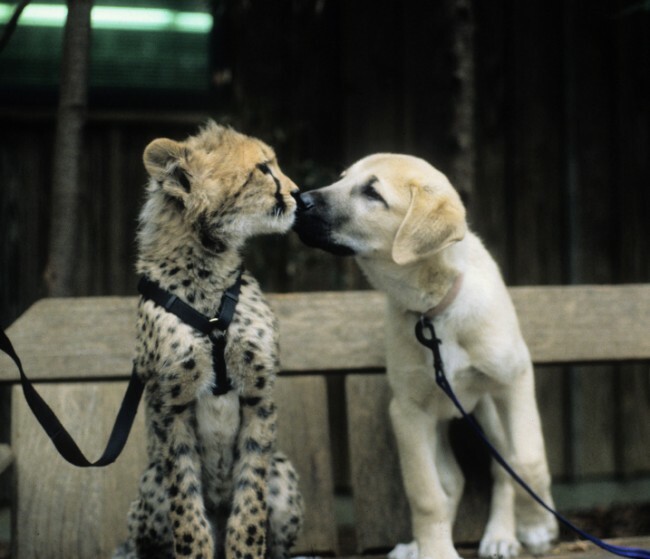 They became best buddies as cub and puppy at Cincinnati Zoo and eventually participated in the zoo’s Cat Ambassador Program. 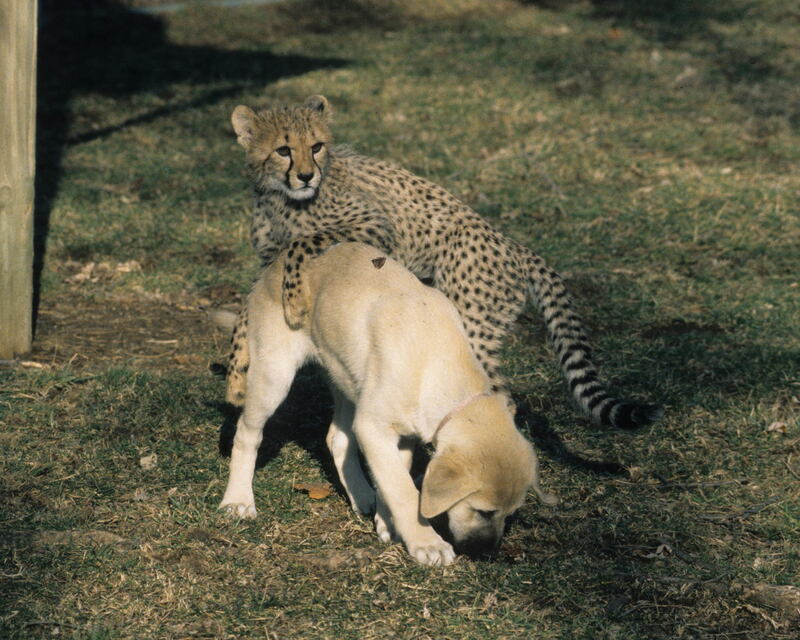 In conjunction with the Cheetah Conservation Fund, the program seeks to educate South African and Namibian farmers how the shepherd dogs can be used to protect livestock from cheetahs without shooting the big cats and reducing numbers of an already endangered species. 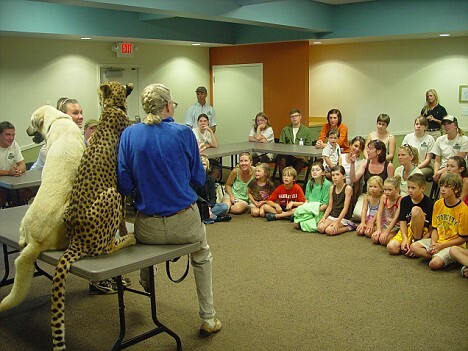 The idea is to show the farmers that cheetahs have a healthy respect for dogs like Alexa and such dogs have no fear of the spotted cats.